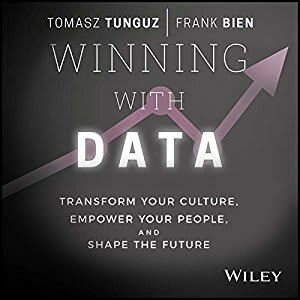 In June, Frank Bien and I published our book, Winning with Data. It describes through case studies how some of the most successful startups use data to create sustainable competitive advantage. Since then, we’ve sold thousands of copies. Today, we’re releasing an Audible version of the book. I have 8 free copies to give away to readers. If you’d like to throw your hat in the ring for one of the codes, please answer a one question survey about SaaS startups. I’ll select 8 respondents at random and send out the codes next week. Just a reminder that you’ll need an Audible account to claim the code. It’s been wonderful to see the reactions to the book. Thanks to everybody who’s supported the effort.